Looking for great inspiration for your apartment or home interior? Then look no further than an awesome book that features great design ideas by people who know the graceful elements of design. These are often large, coffee-table books, that can become almost as important as your coffee table. They offer inspiration, ideas, thinking that’s out of the box, and make great conversation pieces or great lovely gifts for a loved one interested in design. 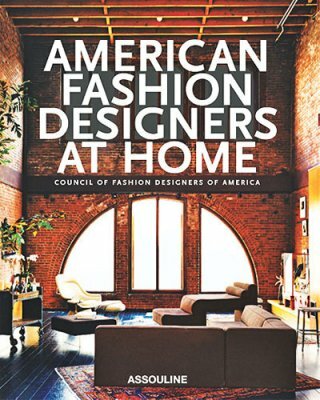 American Fashion Designers At Home by Assouline Books. What can be better than fashionable interior design ideas? This book features Kate Spade, Max Azria, Oscar de la Renta, Tory Burch and more. Rooms to Inspire by Annie Kelly is a beautiful collection of interiors with great advice on stylish decorating to make your place feel like home. Annie Kelly is a well known decorator and journalist whose work has been featured in Elle Decor, House Beautiful and Vogue Living. Tim Street-Porter, her husband, is an architectural photographer. This great book is sure to inspire. A fresh and lovely book by interior designer Victoria Hagan features soft and subtle room decor. “I glean inspiration from all areas of my life…If something stirs an idea or emotion in me, chances are it might show up in my work in some form.”- From the Preface. Frank Roop, The New Bespoke is a dive into color and the avant-guard. A sure winner when looking for original and eclectic style options for your apartment or home. This entry was posted in Designers and tagged Annie Kelly, books, books on interior desing, coffe table books, decorating, design, designers, Frank Roop, interior design, Victoria Hagan. Bookmark the permalink.